Joining Sunmiles Club is free! Even if you`re not a frequent flyer. You`ll soon discover that your membership will open up a world of benefits and exclusive privileges. Come on board and enjoy!! 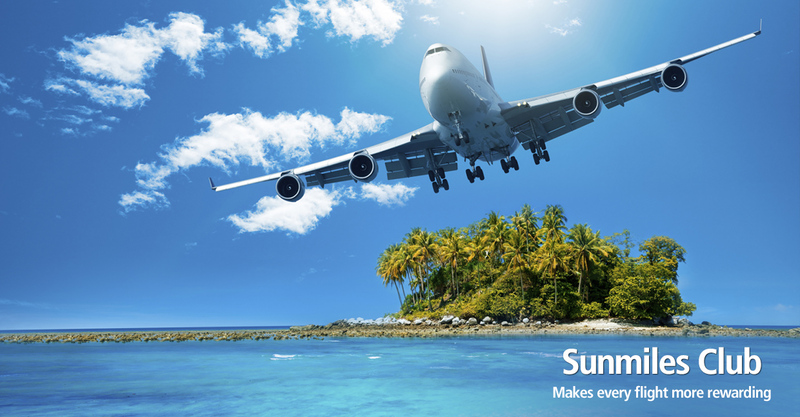 It costs nothing to join Sunmiles Club. Just complete this simple application form and you can start enjoying the benefits and privileges of membership straight away.